Ruthie — such a nice chance to catch up with you and all your doings! Happiness, indeed. I’m looking forward to seeing your film and other latest works. 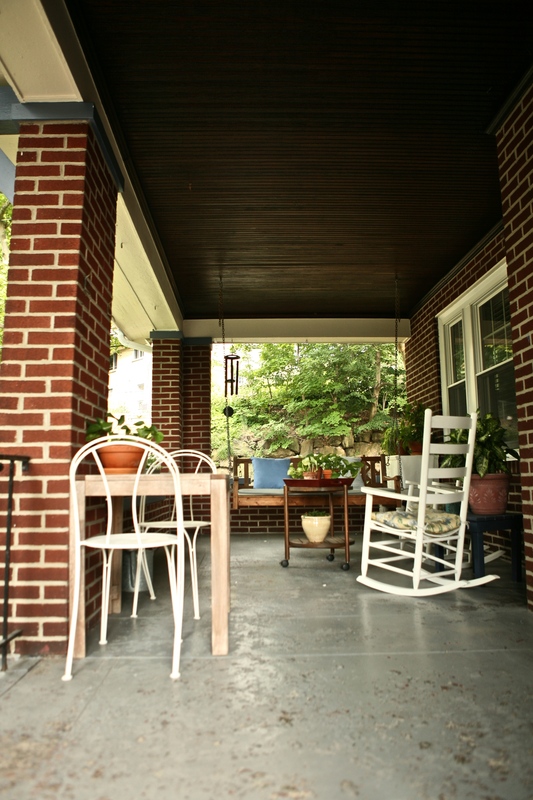 A nice front porch in the summer – the best!! Sometimes summer afternoons just go too fast. Many years ago we added a deck to our house. I never use it. I am and will always be a front porch person. Thanks for another beautiful photo, Ruth! Hmmm… I suddenly want a large glass of iced tea! A few minutes of gentle rain would just add to the peaceful atmosphere, I love to read on a porch in the rain. Love the quote, your comments and photo. Now …. I am asking for their energy to send me out to “summerize” my own front porch! !